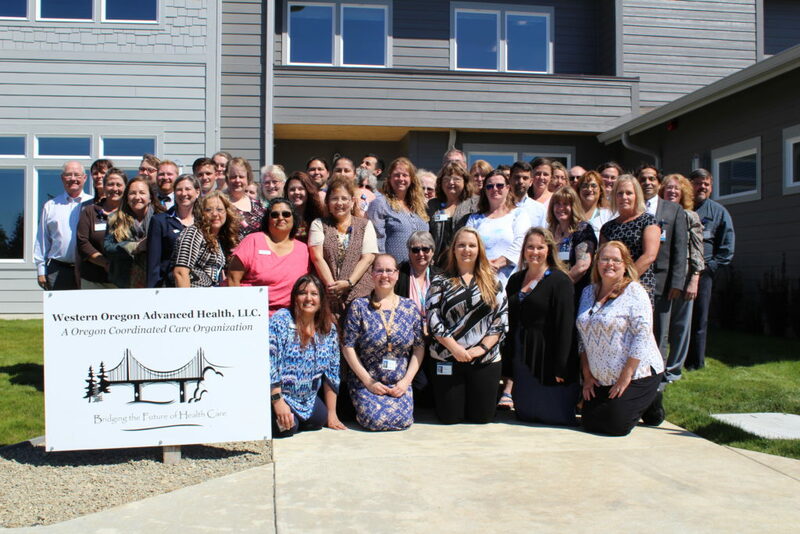 From 2012 to 2018, Advanced Health has been hard at work, coordinating superior care for Members who are enrolled in the Oregon Health Plan. During this time, Advanced Health has successfully achieved and exceeded its annual incentive metrics, which are rigorous health care indicators established by the Oregon Health Authority to assure the provision of high-quality clinical services. At the same time, Advanced Health has attained its Transformation Plan benchmarks and made numerous community-related investments – all purposed at improving community living or addressing the social determinants of health. In 2011, the Oregon Legislative Assembly implemented a new model for managed care – Coordinated Care Organizations (or CCOs). CCOs were required to fully integrate and coordinate all health care services – physical health, mental health, and dental health — under a single health care system. It was then that DOCS, County Mental Health Agencies, ADAPT, Advantage Dental, North Bend Medical Center, Bay Clinic, Waterfall Community Health Center, Coast Community Health Center, Curry General Hospital, Bay Area Hospital, Southern Coos Hospital, and Coquille Valley Hospital joined forces to create Advanced Health – the CCO that now serves Coos and Curry Counties. By 2000, in addition to being enrolled in DOCS for health care services, 90 percent of all Oregon Health Plan Members were also enrolled in a Mental Health Organization (MHO) and a Dental Care Organization (DCO). Coos and Curry Counties were served by Jefferson Behavioral Health as the MHO, and by Advantage Dental as the DCO. By 1998, many of the large Health Maintenance Organizations found that they could not sustain their expansion into small rural communities that fell outside of the major population centers, and began to withdraw from rural counties. Because DOCS had always stayed the course and honored its commitment to local residents, it remained a vital partner in Coos, Curry, and Western Douglas Counties, even though the health care environment was changing throughout most of Oregon. As a small plan, DOCS was able to tailor its care to meet local community needs, while fostering local control and local accountability. In 1994, Primary Care Organizations (PCOs) were phased out in favor of Fully Capitated Health Plans (FCHPs). While Primary Care Organizations had been responsible only for the provision of out-patient services, Fully Capitated Health Plans became responsible for all medical benefits, including prescription medications and hospitalizations. Large commercial Health Maintenance Organizations (HMOs) expanded rapidly into new service areas, often squeezing out locally owned and locally controlled Primary Care Organizations such as DOCS. In 1989, the Oregon Legislative Assembly passed the Oregon Health Plan Demonstration Project. This Project’s goal was to provide all Medicaid beneficiaries with fully managed health care services through Primary Care Organizations (PCOs). The term, managed, simply means that each Medicaid beneficiary has access to a primary care provider, and that provider manages all of the individual patient’s needs for primary and medical specialty services. To provide this level of managed care, primary care and medical specialty physicians from throughout South Coastal Oregon banded together to form a Primary Care Organization as required by state regulation. This Primary Care Organization, legally known as Southwest Oregon Independent Practice Association, operated under the familiar name of DOCS – Doctors of Oregon’s Coast South.